Louis Paul Jonas, “Uncle Beazley,” Histories of the National Mall, accessed April 25, 2019, http://mallhistory.org/items/show/2. Generations of children climbed on Uncle Beazley, a fiberglass triceratops, who lived on the National Mall in front of the Museum of Natural History. 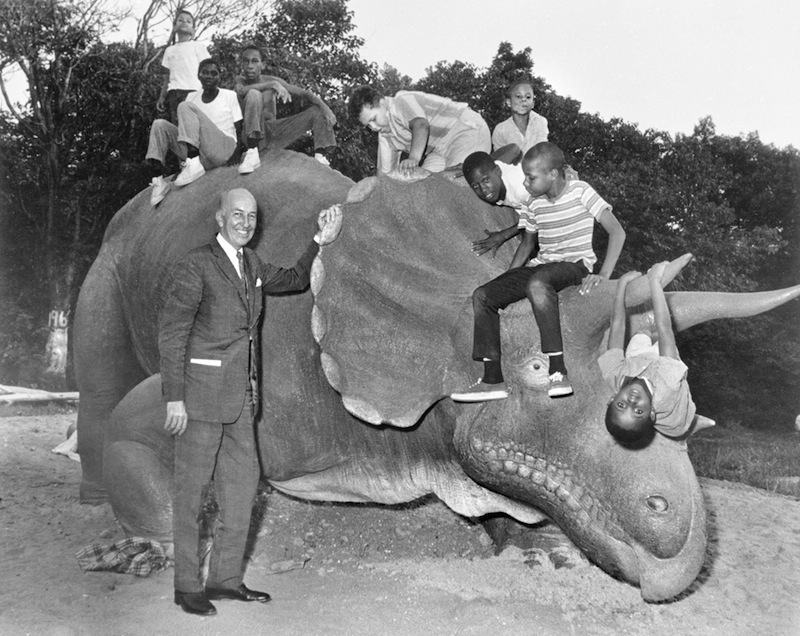 For a slow-moving dinosaur, Uncle Beazley is widely traveled. Before coming to the Mall in the 1970s, his home was the Smithsonian's Anacostia Neighborhood Museum. In 1994, Uncle Beazley moved from the Mall to his current residence, the National Zoo. Beazley was constructed in 1967 for "The Enormous Egg" TV special that aired the next year. The Sinclair Company subsequently donated Beazley to the Smithsonian. Smithsonian Institution Archive, View Original.